Comfortable and easy, in others words COSY! Cosy For You – Tour per Tutti is a Tourist Organisation that promotes the tourist prodouct as an high level entrepreneurial prodouct, developed over the years and adapted to European standards thanks to the homonymous project, co-funded by the EU Commission. Every single member of our team has developed his expertise and his social experience through an extensive training and a challenging internship in the field as voluntary Operators of Peepul – dalla parte dei disabili, a non-profit Voluntary Association. 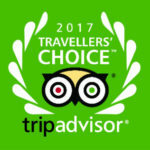 Cosy For You – Tour per Tutti organizes a variety of tours, which hundreds of people with “special needs” have been taking part in since 2014. We organise these tours giving the opportunity to improve our hospitality, support and problem solving abilities. The Cosy For You team relates to all tourists with humanity, understanding and sympathy, not only as customers but mostly as people who need special care, to share the experience as a real traveling companions. The trip is always comfortable and simple. We are able to let every kind of tourist to move and travel freely, individually or in groups, even people with reduced mobility who are not independent due to physical, sensory and mental or even only temporary disabilities, such as the elderly. 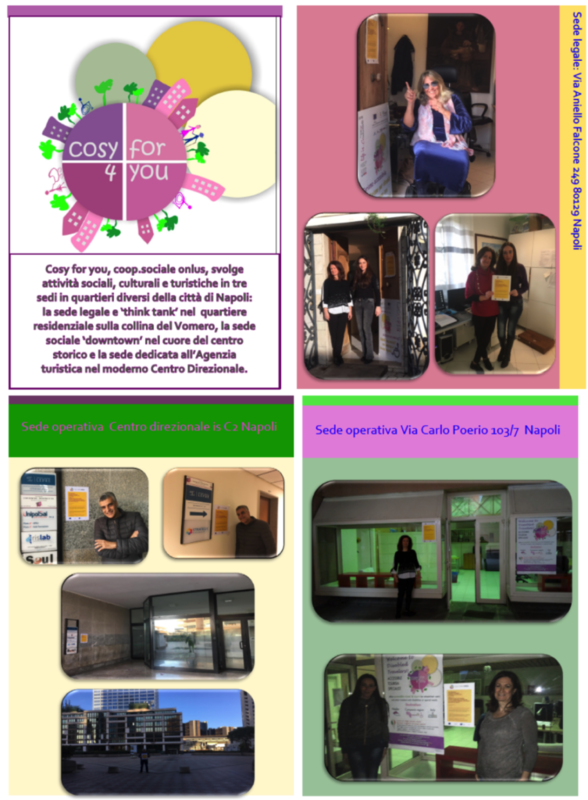 Cosy For You – Tour per Tutti operators cooperate to be at the service of tourists. They are punctual, careful, well trained and can professionally meet all needs. They offer the highest quality of service thanks to their continued training and a state of the art IT system, from the provision of information to services and tourism products, selected for the accessibility, organized with care, passion and awareness. Our team relies on the meticulous monitoring developed by the ODV Peepul – dalla parte dei disabili, which accredits the degree of accessibility and usability of facilities and tests the itineraries so that everyone can completely enjoy the experience of knowledge, without obstacles or disappointments, without sacrificing the opportunities of the offer or reduce the charm of the places. The ODV Peepul – dalla parte dei disabili also provides volunteers specifically trained in tourist hospitality for all types of tourist. For more infos about ODV Peepul click here. Cosy For You – Tour per Tutti is waiting to help you to discover all the fun and beauties that Campania has to share, a unique place that offers so much in terms of health and wellness, cultural enrichment, entertainment and holidays; another common characteristic is the love for our land and the pride of our local culture and natural resources. Campania has a natural, artistic and cultural heritage that we want to share and promote throughout the world, through the experiences of those who honor us with his/her visit.